Are you always one step behind in getting the last stock of Cherry Heering from your local liquor stores? That must be devastating for you especially if you’re making dessert or cocktail recipes that call for this sweet liqueur. So you don’t eliminate cherry hearing from your recipes, you can use a cherry hearing substitute. Cherry Heering is a full-bodied liqueur that has a natural cherry taste. This sweet, ruby-red liqueur has been manufactured in Denmark since 1818. The next time you run out of Cherry Heering, you can use any of these substitutes. If you’re in a pinch to make your delicious cocktails (Singapore Sling or Blood and Sand), you can substitute Cherry Heering with any brand of sweetened, cherry-flavored brandy. Although it holds the name brandy, you don’t have to use it as a base spirit. 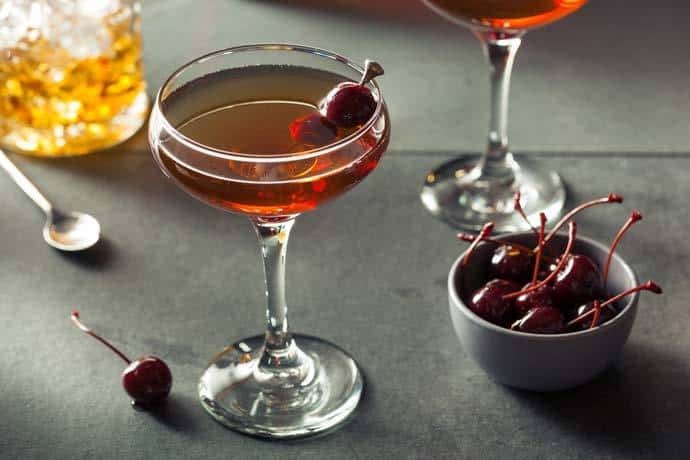 Cherry brandy may not be as sweet as a cherry liqueur, so consider opting for the sweetened kind or add sugar syrup to the cocktail. One of the most prominent brands in the market is the Bols Cherry Brandy. Bols crashes the kernel of the cherries giving that slight hint of almond flavor, which is one characteristic of Heering. This deep red-colored fruit brandy gives a cherry aroma with a hint of the kernel. Other two favorite brands are DeKuyper and Seagram’s. Aside from getting the cherry brandy from stores or online, you can also make your own at home. All you need are a jar, cherries (with 1-cm stalks intact), brandy, and sugar. In a jar, layer the cherries and the sugar, then pour the drink. Seal the jar and put it in a dark place for a couple of weeks. Don’t forget to shake the concoction every day. Watch how to make a cherry brandy in this video. If you want more variation in taste, you can try kirsch, a clear fruit brandy that is made of morello cherries. Since this tastes slightly different than Cherry Heering, you can consider adding a bit of sugar syrup to add body and sweetness. When making recipes that call for Cherry Heering, you can use Port wine as a substitute. Port wine has almost the same aroma as Heering, which is somewhat spicy and woody. As compared to other cherry elixirs, Port wine has the same character with Heering that extends to the sweet taste. Port wine is a Portuguese sweet red wine. 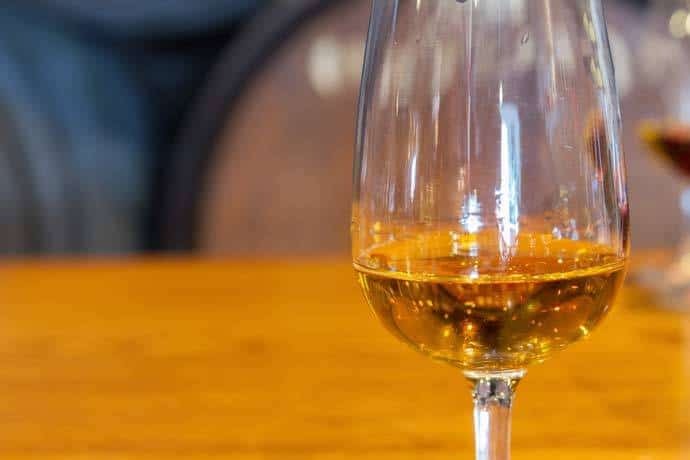 It’s mostly served as a dessert wine because of its soft and rich flavors. While there are a ton of average-quality Port in supermarkets, there are some high-quality Ports that are meant for drinking. There are several kinds of Port, but the two common types are red and tawny-colored. A red Port, like the Ruby, is less sweet than a tawny-colored one, but it can replicate the same red color of Heering. The flavors of red Port are more chocolate and berry, which fit for cooking. While all kinds of Port suit well for cooking, the Ruby Port is the most economical option, and it has a long shelf life. All types of Port are excellent in making sauce for roasted meats and steaks. If you can’t locate a Cherry Heering in any local liqueur stores nearby, try using a cherry flavored vodka. One of the most popular cherry-flavored vodkas is Absolut which has tasting notes of sun-ripe cherries and a berry finish. In comparison to other flavored vodkas, Absolut Cherrys is all-natural and contains no sugar. If this brand is too bland for you, you can add a bit of sugar to duplicate the sweetness of Heering. Pinnacle Cherry is also another brand of vodka that produces that sweet punch. Its aroma is sweet Maraschino, almost similar to Heering. The taste has notes of juicy, tart cherry with a hint of vanilla. 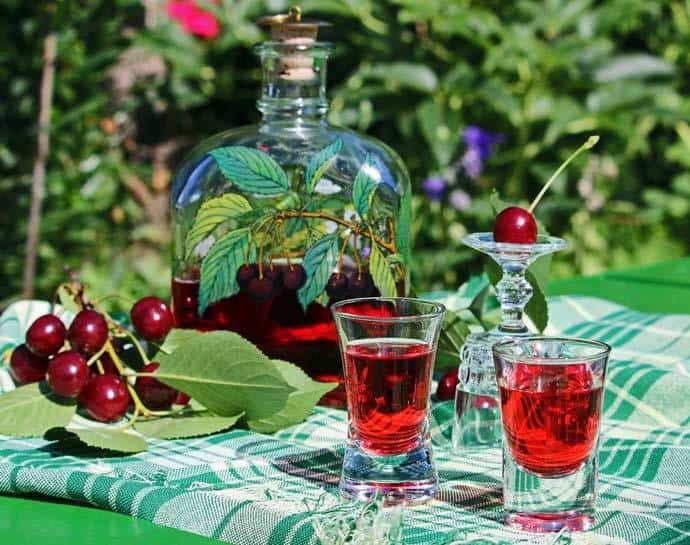 If you happen to have a plain vodka and a lot of cherries at home, you can make your cherry vodka. To make, place cherries, sugar, and vodka in a jar. Let it sit for a couple of weeks until the sugar has fully dissolved. Mix the concoction inside the jar every day. Watch how to make a cherry vodka in this video. If you don’t mind the bright color, you can try using Maraschino liqueur in your cocktails as a substitute for Heering. Although not as sweet as Heering, Maraschino still gives notes of cherry flavor. This dry liqueur is processed and distilled similar to brandy. There are many manufacturers of this liqueur, but Luxardo makes one of the most popular brands. This brand is distilled from the sour marasca cherries of Luxardo, making a composite liqueur with a relentless cherry aroma. Although sharp, the taste is smooth and has notes of rosewater and cherries. If you want a sweeter taste than Luxardo, you can try the Maraska Maraschino which gives more cherry notes and a brighter flavor. Aside from being an excellent cocktail ingredient, Luxardo can also be enjoyed on its own. For pastries that call for Cherry Heering, you can try the Lazzarroni Maraschino with its less alcohol content. Although it gives a slight hint of bitterness, it can be overpowered with the sweet ingredients of pastries. You may not find a broad distribution of this brand in the United States, but you can buy it online. 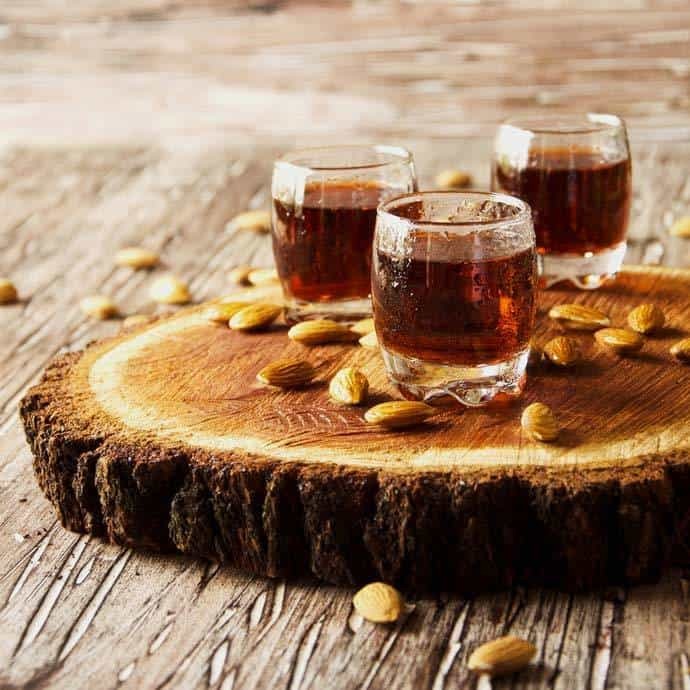 Since Cherry Heering has a hint of almond, Amaretto can be a good substitute as it offers a sweet almond flavor. The slight bitterness of Amaretto is similar to Maraschino liqueur. If you find the Amaretto too bitter for you, you can balance it with a bit of sugar syrup. You can use Amaretto in mixed drinks and other culinary uses. This liqueur complements well to recipes that contain chocolate and almonds as it improves the flavor of these ingredients. Some of the two favorite brands are Disaronno and Lazzorrini. Disaronno is your best bet if you have a sweet tooth. The aroma is a mix of sweet marzipan and a slight hint of toasted nuts to balance the sweetness. Lazzorrini Amaretto has a bright, golden amber appearance. The aroma is a combination of pungent honeycomb, marzipan, and bitter almond. The rich taste has notes of apricot, marzipan, and caramel. 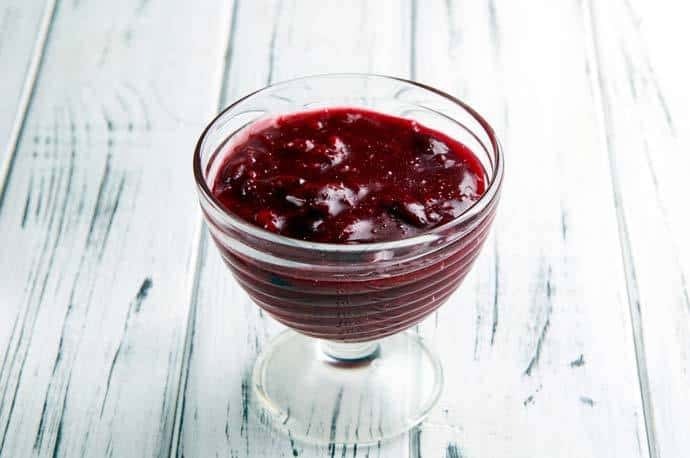 If you like to make a food recipe without the alcohol, you can try substituting Cherry Heering with cherry extracts. Although this might not offer the precise flavor of cherry liqueur, its sweet cherry taste is close enough to capture the fundamental character of recipes. The cherry flavor of the extracts may be too bold, so it’s advisable to use sparingly. You can begin with a few drops and add more until you accomplish the desired flavor. If you want more liquid, you can add the correct amount of water as stated in the recipe. When buying the best cherry extract for your recipes, look for all-natural ingredients. You want something that’s not too artificial in taste. Watch the expiration date on the label, so you’ll be sure of its excellent flavor and aroma. 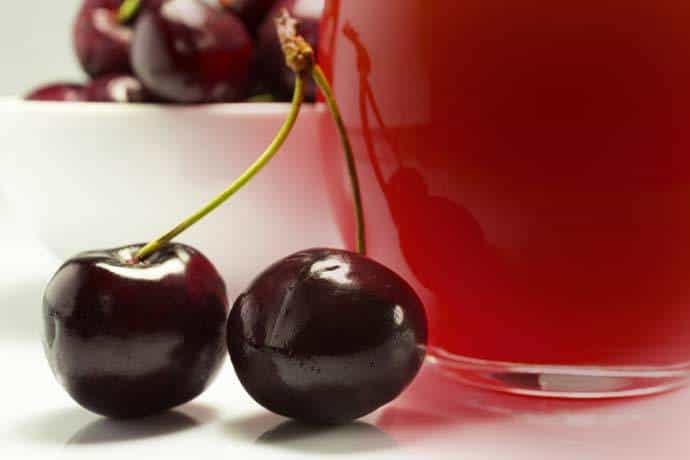 Aside from the signature cherry taste, you can expect to get protection from certain degenerative diseases, such as arteriosclerosis, Parkinson’s diseases, and cataracts. The flavonoids found in cherries protect your body from free radicals. Another non-alcoholic substitute for Cherry Heering is cherry syrup. This syrup is high to use on desserts that need the cherry flavor of a fruit liqueur. You can use the syrup found in canned cherries. Drain the cherries from the can and only use the syrup for your recipe. Alternatively, you can use cherry-flavored syrups that are sold in bottles. If possible, buy brands that are free from artificial colors, flavors, and preservatives. You can read the label and look for non-GMO, organic, and natural. To incorporate the cherry syrup in your recipes, use the same amount prescribed for Cherry Heering in the method. Although this can work in any dessert, this syrup may not work with fondues because they need alcohol to melt. You can also make your cherry syrup by using sugar and cherry juice. In a pot, mix the two ingredients and simmer over medium heat for about 45 minutes. You can tell it’s done if the mixture has reduced in volume. Did you enjoy reading through the list of possible Cherry Heering substitutes? 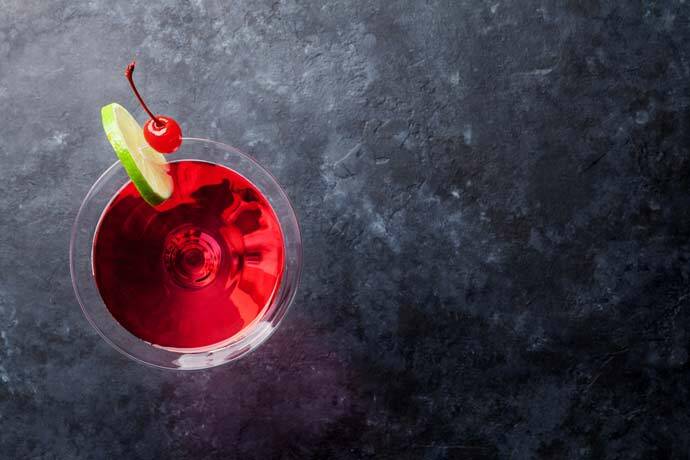 For cocktail drinks, you can try any sweetened, cherry-flavored brandy, Maraschino, or cherry-flavored vodka. If you want non-alcoholic Cherry Heering substitute, you can use cherry extract or cherry syrup. Have you decided which of the options listed above will you use for your next recipe? Let us know in the comments section along with your questions or suggestions. If you liked this article, please share it with your family and friends!